Why Does My Dog Pant So Much? Instead of sweating bullets like humans do, dogs cool themselves by breathing and panting. Therefore, it is absolutely normal that dogs pant when it is hot, or after chasing the ball several times in the park. But if a dog suddenly starts panting all the time, for no reason at all, we need to pay attention. The excessive panting may be caused by some issues or underlying health problems that need to be looked at and treated. Here are some possible answers to the question, "Why is my dog panting constantly?" Heat stroke is perhaps one of the most common causes of heavy excessively panting in dogs. As you know, heat stroke can lead to devastating damage to a dog's physical health. If a dog is left in a parked car on a hot summer day, or has been out playing or running for a long time in the heat, he can easily get heat stroke. His body temperature can rise rapidly to over 104°F, when he will start panting heavily. If no action is being taken to cool him down, his body temperature can rise up to 107°F, when heat stroke occurs and brain damage (sometimes death) may occur rapidly as well. 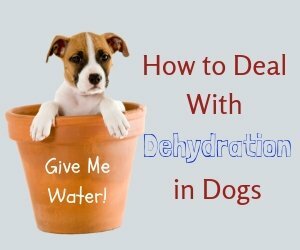 Visit this page to see how to give first aid treatment to a dog with heat stroke. Another common cause of dog panting is obesity. When a dog is too fat, he may literally feel crushed by his weight and as such breathing is difficult, resulting in heavy panting all the time. If your dog pants and if he is obese, be sure to help him lose weight! Dogs also tend to pant excessively when they are anxious or under stress. Sometimes if you get a new puppy, you may find that she pants constantly for the first few days, or even the first week or two. That is because the new environment is causing her to feel stressed, thus the panting. As she starts getting used to the environment, the panting should go away. If there are changes in your dog's environment (e.g. a new family member, or you have just moved), your dog may pant more heavily than normal for the first few days. Try to calm your dog and spend more quality time with her. Use some natural calming remedies if necessary. Some dogs may also pant when they are scared. For example, if your dog has noise phobia, she may pant heavily during a thunderstorm or firework display. 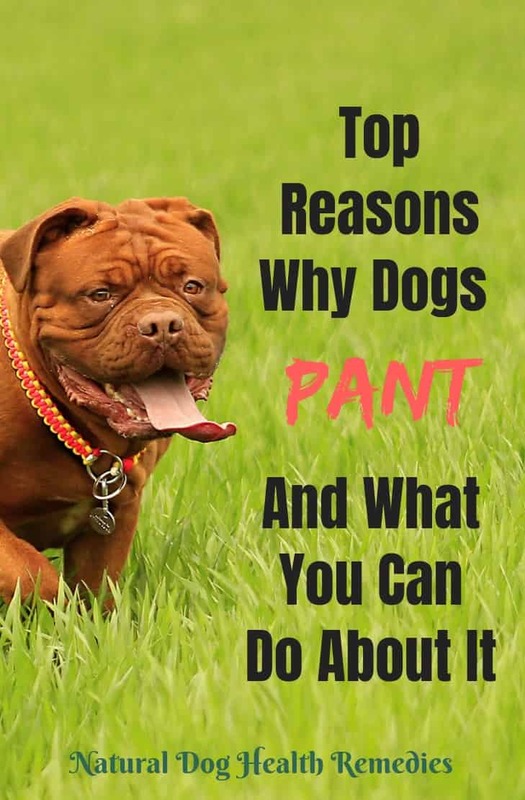 Another possible reason why a dog pants is that she is in pain. Look for other signs that may suggest pain, e.g. restlessness, limping, constant licking or biting at one specific site, whimpering, reluctance to lie down, etc. Check out this page for different signs of a dog in pain. The brachycephalic breeds (dogs with a pushed-in face such as the pugs, bulldogs, shih tzu, Boston terriers, etc.) are prone to excessive panting because of their small nasal passages and short windpipes. On a hot day, or after exercise, these dogs usually pant rather heavily as They need to work harder for heat reduction. Panting can be associated with canine cognitive dysfunction. If you have an older dog, and he suddenly starts panting more, watch for other symptoms accompanying CCD, such as pacing and circling; walking into doors and furniture; a reduction in social interaction; "accidents" in the house; failure to recognize family members, etc. First, if you notice there is a sudden change in the frequency or intensity of panting in your dog, suspect poisoning, choking, heat stroke, or injury of some kind. Is it hot outside - Would it be heat stroke? If your dog feels hot, take his temperature immediately. Do his gums appear pale or bluish in color - Would it be possible that he is injured and is bleeding internally thus the pale or bluish gums? 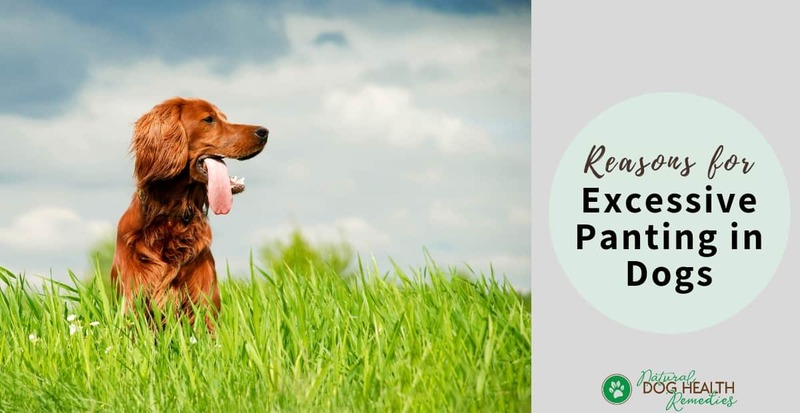 On the other hand, if you notice that your dog has been panting heavily even when he is resting, he may have a fever caused by some bacterial or viral infection. Check his body temperature immediately. If your dog has a temperature above 102.5°F, you should take her to your vet for a check-up. If your dog seems to be panting heavily due to anxiety, fear, excitement, or stress, try to distant your dog from source of the stimulation, if possible. Use natural remedies to calm your dog down. If you have an older dog, heavy excessive panting may mean congestive heart failure (particularly if your dog is panting heavily at rest, at night, or if there are signs of exercise intolerance), or cognitive dysfunction. It is important to be more observant to your dog's behavior and, in this case, his own "panting style". If your dog suddenly starts panting all the time with no apparent reason, pay attention. There probably is something wrong with the dog. Watch out for other illness symptoms.